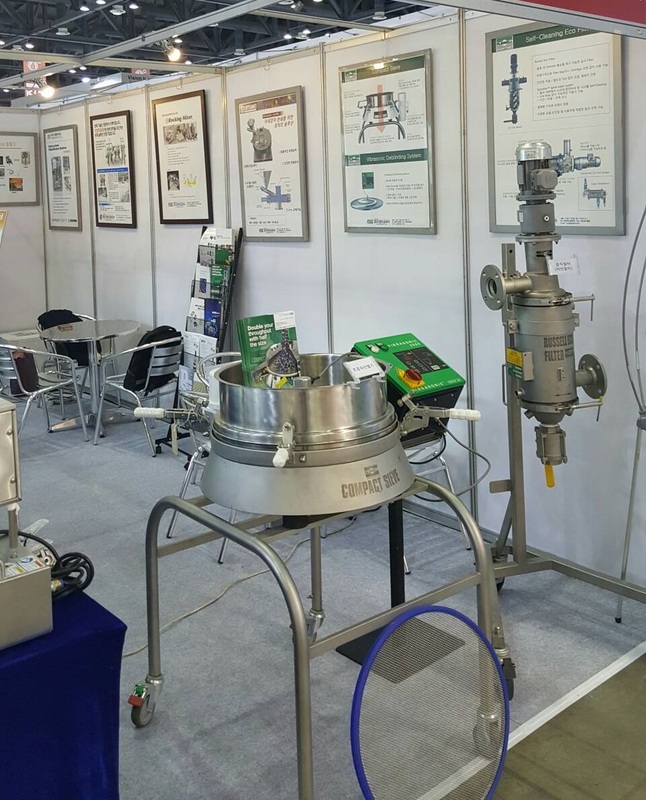 COPHEX 2016 was held at the KINTEX Korean Exhibition Centre, Goyang, from 26th - 29th April 2016, and is South Korea's premier trade show for the pharmaceutical and cosmetic industries. The exhibition provides a networking platform for businesses and suppliers involved in cosmetic and beauty products, as well as medical and pharmaceutical manufacture, packaging, processing, and product testing. Russell Finex was in attendance, showcasing its range of hygienic pharmaceutical processing solutions. The show saw over 62,000 visitors across its four days, bringing together a wealth of international companies, as well as Korean. Russell Finex was well represented at the event, enthusiastic to expand its share in the growing Korean pharmaceutical market. The global sieving and filtration specialists have over 80 years of experience in the design and manufacture of separation solutions across a range of industries. With a worldwide network of specially trained agents and distributors, Russell Finex has cemented a reputation of supplying high quality machinery to a global customer base, including pharmaceutical companies such as Pfizer, GSK and Sanofi Aventis. Supported by this reputation, as well as having a comprehensive range of pharmaceutical processing equipment, Russell Finex was delighted to make contact with an excellent number of potential customers, as well as strengthening existing relationships and further establishing itself as a leading supplier to the industry. Visitors took full advantage of the expert advice on hand, as well as the chance to view the Russell Compact Sieve®, Russell Vibrasonic® Deblinding System and Self-Cleaning Russell Eco Filter®, discovering which sanitary sieve, screener or filter best suited their processing needs. Russell Finex is looking forward to returning to KINTEX and COPHEX in 2017, to further connect with this exciting, modern and evolving market. To find out more about how a range of hygienic sieving solutions could benefit your pharmaceutical process, contact Russell Finex today.